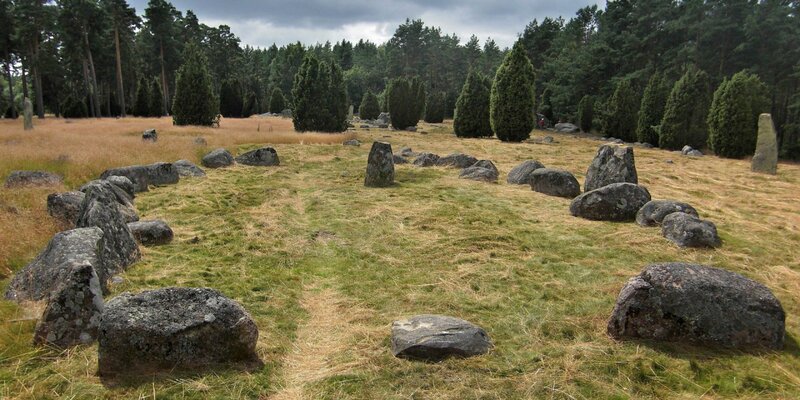 Hjortahammars Gravfält is one of the largest Iron Age burial grounds in Blekinge. 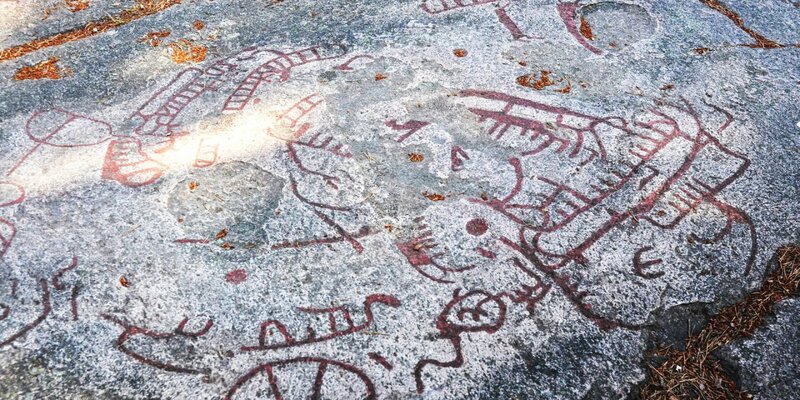 It is located about 17 kilometers southeast of Ronneby on the narrow isthmus between the island Almö and the mainland. 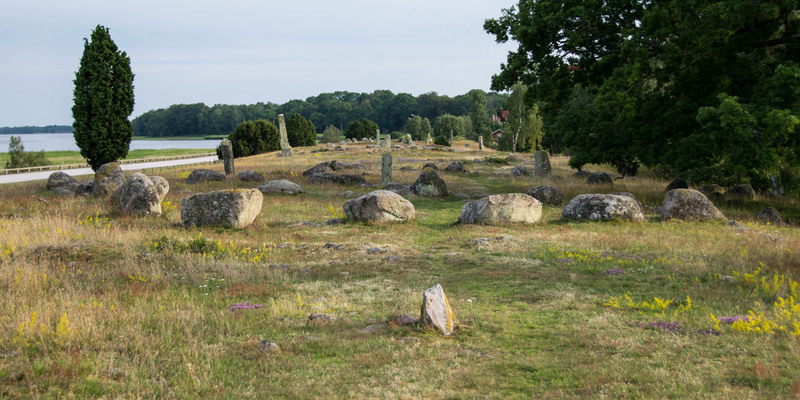 The burial ground is located within the nature reserve Vambåsa Hagmarker and was used from the early Iron Age (0–400 AD) until the end of the Viking era around 1050. The site consists of about 110 individual tombs over an area of 370x90 meters situated on a flat hill. In the northern part of the burial ground are the older tombs, which were designed as relatively flat, large round stone settings. The tombs from the Viking era, which are located further south, are considerably more diverse. 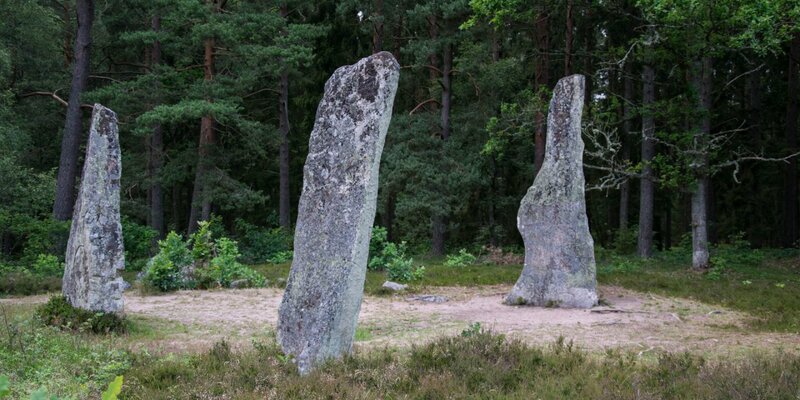 In the southern part of the burial ground are five stone wheels, eight almost square stone settings, five triangular stone settings (Trident), eight freestanding monoliths and a total of ten stone ships. The stone ships are each 40 meters long and between 10 and 16 meters wide. While nine of the ten stone ships are formed by loosely arranged boulders, one of them consists of vertically erected monoliths. Unfortunately, there are only nine of the vertical stones left, the largest has a height of 1.80 meters. Hjortahammars Gravtfält was the cemetery for the inhabitants of the former town Vambåsa By, which was once located north of the burial ground for over a period of several hundred years. During the Viking era, Vambåsa By was one of the largest trading centers in eastern Blekinge due to the port of Hjortahammar. The harbor was located on the west side of the isthmus and was secured by an ingenious system of bollards that protected the harbor from seaside attacks. The underwater barriers blocked the navigation channels between the islands. The port could thus be reached exclusively through the narrow passage between the island of Kvalmsö and the mainland.